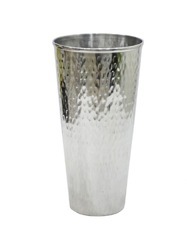 We are a leading Manufacturer of aluminum flower vase, aluminum tall floor vase, aluminum enameled vase, aluminum flower vase set, aluminum bottle vase and aluminum corner vase from Moradabad, India. 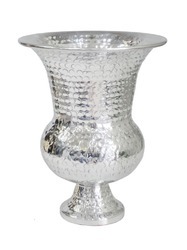 We are leading manufacturer and exporter of superior quality Aluminum Flower Vase. 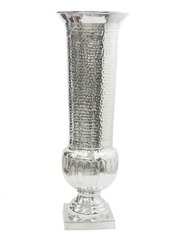 Our organization is engaged in offering superior quality Aluminum Tall Floor Vase to our prestigious customers. This holder is manufactured from finest quality aluminum, which is obtained from the well known vendor. We are leading manufacturer and exporter of superior quality Aluminum Enameled Vase. 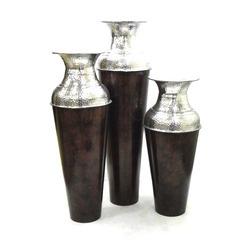 We are leading manufacturer and exporter of superior quality Aluminum Flower Vase Set. 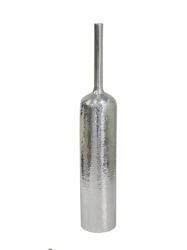 We are leading manufacturer and exporter of superior quality Aluminum Bottle Vase. Owing to the rich experience in this field, we have been able to offer high quality Aluminum Corner Vase to our valuable customers. 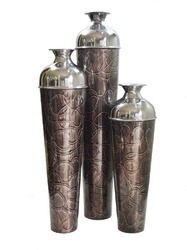 Designed as per the latest market trends, these vases are used to decorate flower. Available with us at standard market prices, the offered products are known for its lustrous design, appealing looks, and light weight. 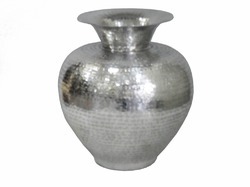 We offer Aluminum Garden Urn to our prestigious customers. 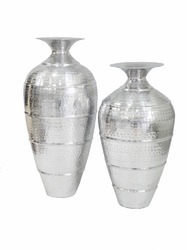 These gardens urns are manufactured from pure aluminum that is sourced from well known vendors. Available with us at cost effective market prices, the offered garden urns are widely used to keep cut flowers, which greatly enhances the décor of the interior. The offered products are high in demand for their glossy appearance, trendy design, and classy looks. 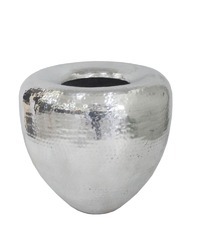 We are one of the leading manufacturers and exporters of high quality Aluminum Flower Pot. Manufactured from cent percentage pure aluminum, the offered pot is used for keeping flowers. The offered flower pots are high in demand in the market for their lustrous appearance, elegant look, and corrosion resistance. Available with us at cost effective market prices, the offered product is widely used for decorating interiors. Looking for “Aluminium Flower Vase”?